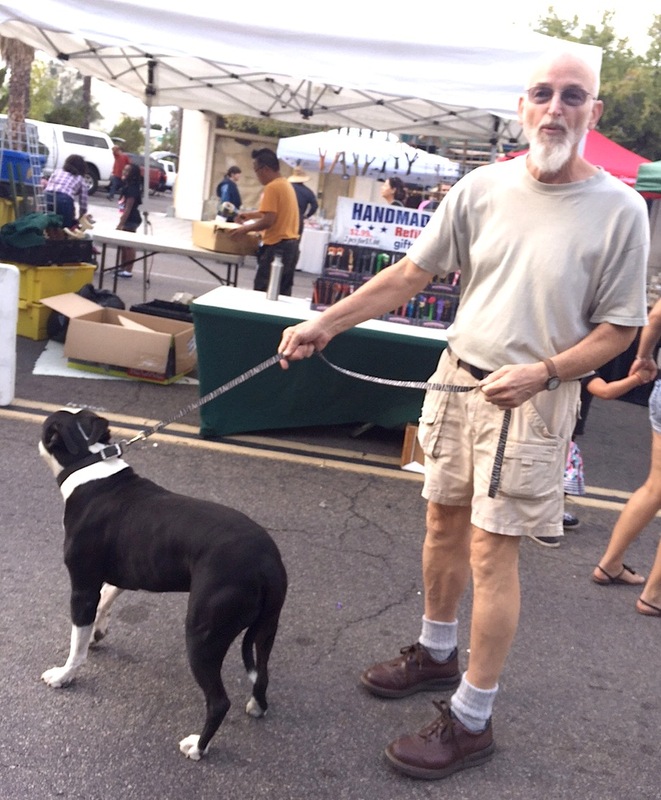 Escondido’s Grand Avenue Festival, aka Escondido Street Faire, held Sunday, Oct. 18 might be the second-largest single-day festival in California, but as they used to say in the old Avis rent-a-car commercials, they try harder. An estimated 30,000 to 40,000 people flocked to Grand Avenue and block after block of 500 vendors, food and music from 9:30 a.m. to 5:30 p.m. Sunday. 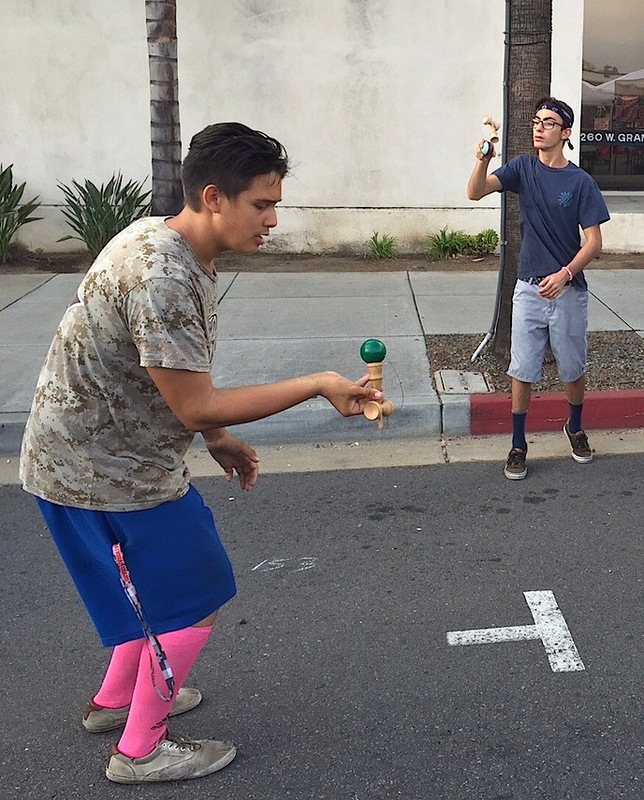 Escondido’s first street faire was 1988. This year the festival spanned downtown’s main street from Centre City Parkway to Ivy Street. Next month, Casey, along with a lot of the other vendors, is off to the Carlsbad Street Faire, the largest single-day Festival in California. Both Carlsbad and Escondido’s festivals, along with the likes of the Vista Strawberry Festival and Fallbrook Avocado Festival — 14 North County San Diego festivals in all — are ably managed by Kennedy & Associates Street Faire Consultants. 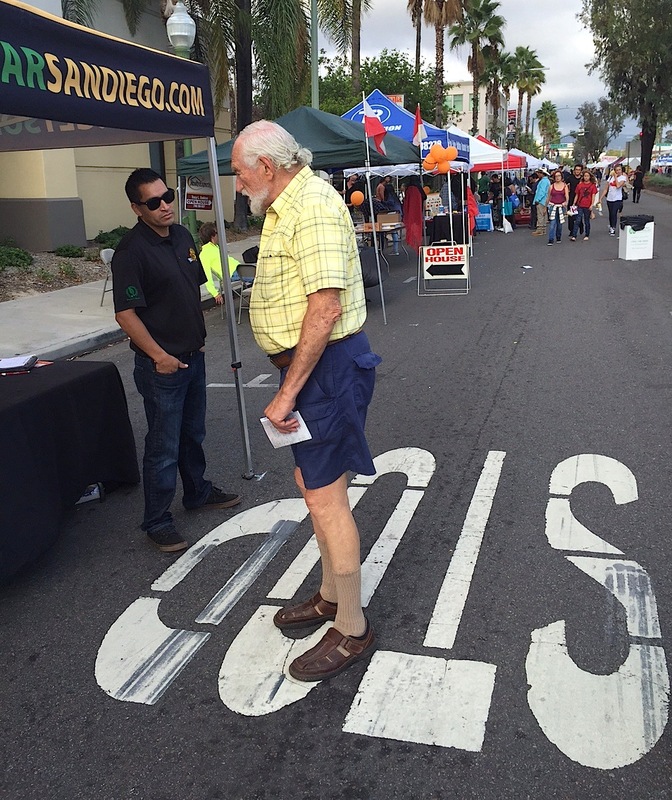 Brian Roth manages Kennedy & Associates Street Faire Consultants staging the street festival. These days, Brian Roth, Kennedy’s son-in-law, heads the operation. 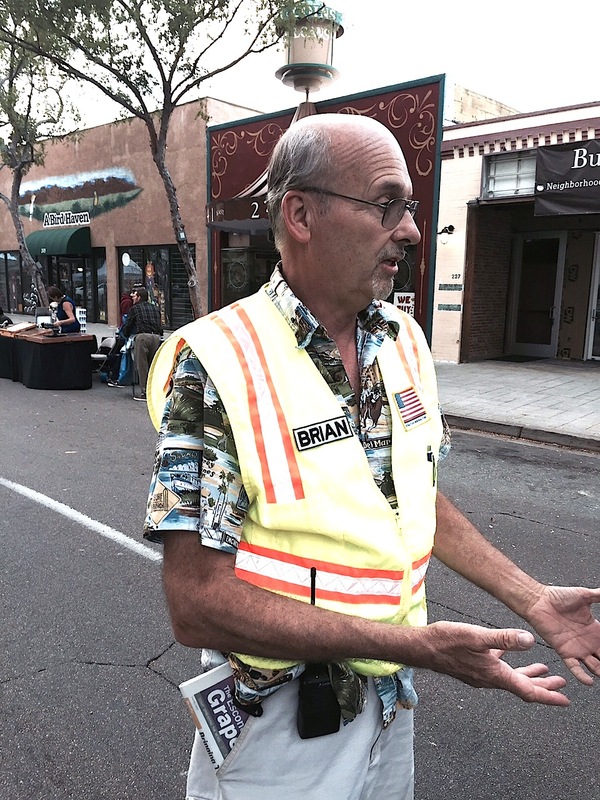 He was large and in charge with yellow vest and communication devices in tow as he supervised the grand fair at the corner of Grand Avenue and Broadway, ably assisted by Rick Bauer, Escondido site manager. 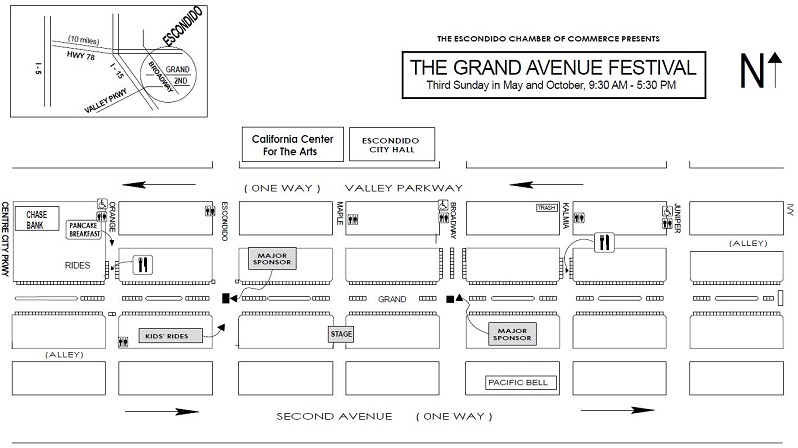 The Escondido faire — that’s correct, all Kennedy events feature the trademark “e” at the end of fair — is considered a great venue, according to Roth because it features lots of room for vendors to get in and out of the street. Set-up began before dawn, around 5:30 a.m. with the festival running from 9:30 a.m. to 5:30 p.m. The Escondido Chamber of Commerce and Downtown Business Association sponsored the event, as per usual. To easy his own fun. Those fun faire words were echoed by vendors along with those many enthusiasts walking the street, block after block, with 500 booths of anything one could imagine this side of the San Diego County Fair. Arthur Devine checks out a solar vendor at the faire. Rocky took Greg Dunn out for a little street walking. Almost needless to say, an event of this size brought a highly eclectic and diverse group of vendors and folks out to the grand bazaar and road show. Martha Mendoza and Mario Morales offered Indian imported clothing under Elena’s Fashion banner. 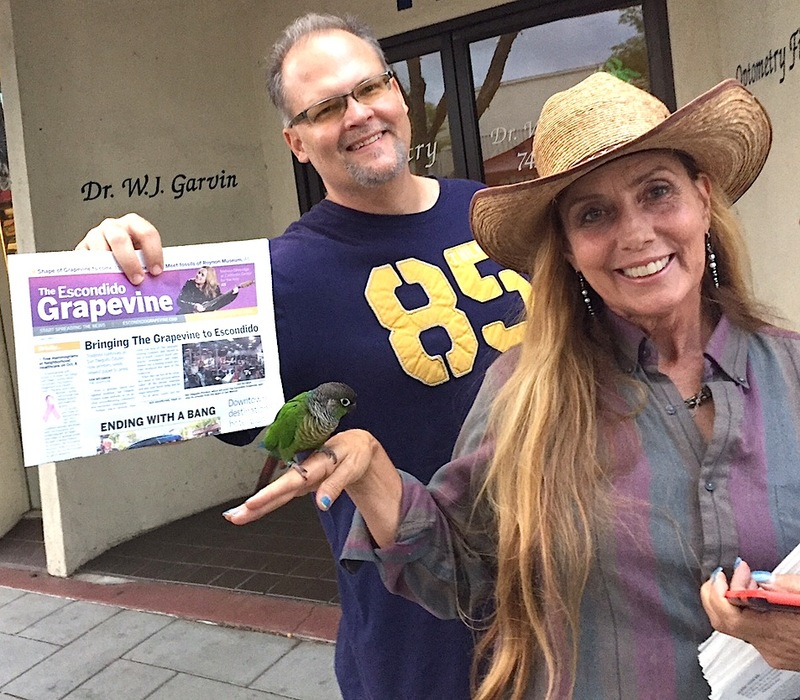 Sabrina Reid came over from Camp Run-A-Mutt in San Marcos to let people know about its Halloween Spooktacular for canines to be held at 910 Armorlite Drive on Oct. 25. Dave and Aida Matheny came down from Fallbrook to cater the street with sausage from Matheny’s Wagon Works. 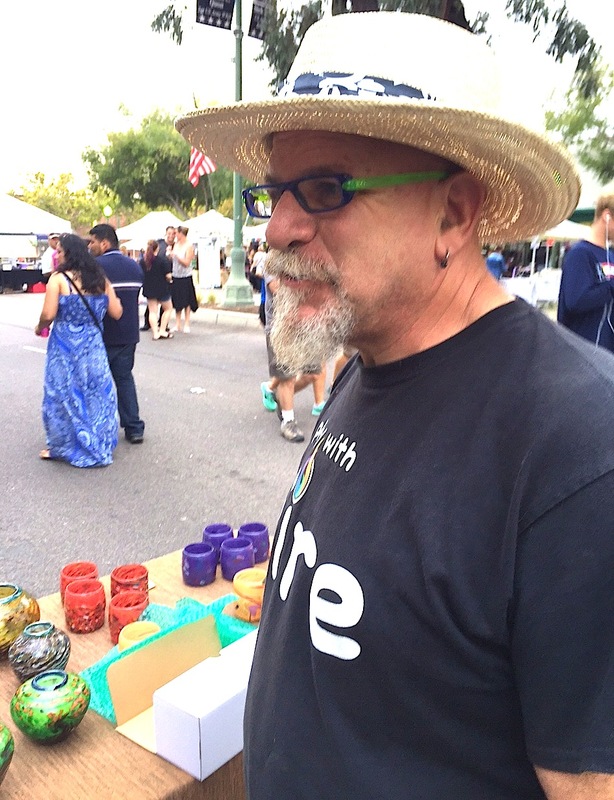 Glassmaker James Stone discusses street fairs and glass blowing. The party may have ended for this year’s faire, but have no fear, the next one already is in the works, planned for May 15, 2016.